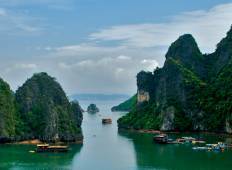 Find a Bicycle trip that explores Vietnam. There are 58 tours to choose from, that range in length from 3 days up to 17 days. The most popular month for these tours is November, which has the most tour departures. "I have had the best 2 weeks with Tung and the rest of the team on the cycle Vietnam..."
"This was a very good organised tour. Everything was perfect. I would prefer staying..."
"We're a group of 6 Australians guys taking this motorbike trip with this company...."
"Very well planned, everything worked well, only on the day of arrival in Saigon I..."
"This is the second time we have travelled with SpiceRoads. They are fabulous and..."
"Shame on me! We should have brought our own bikes! between us we own 9 bikes and..."
"I really enjoyed this tour. 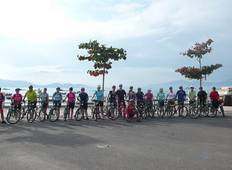 Cycling really gave me the chance to see the real Vietnam,..."
"My husband and I joined the 14 days Vietnam Cycling via Exodus Travel. Everything..."
"Fabulous trip. Great itinerary. Great guide and group. Cycling was challenging at..."
"Go now before Vietnam changes. It was an epic tour into small towns and villages..."